I hate to admit that I have been teaching drum kit and percussion for twenty years now (though I don't actually believe I'm old enough for that to be true!). For the last tenish of these I have been based at The Vale Drum Studio near Cowbridge. 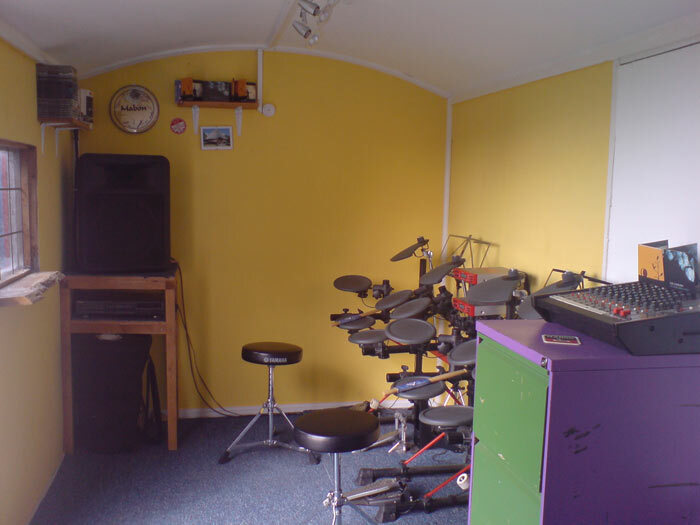 The Studio is a dedicated drum-teaching facility boasting both acoustic and electronic kits as well as a wide range of percussion and other learning resources. An extension project is currently underway (though admittedly at tectonic speed) which will see the Studio double in size to include a waiting/warm-up area as well as a larger teaching space. Lessons are taught on a one-to-one basis in a friendly, relaxed and productive environment. I cater for the whole spectrum of ability, from total beginner to gigging professional. Some people learn as a hobby; others wish to gain formal qualifications; some even wish to make careers in music; but everybody learns for fun, and that’s the basis of my teaching style. Rates are £32 per hour: shorter lessons are available for younger or less experienced students, and are charged pro rata. 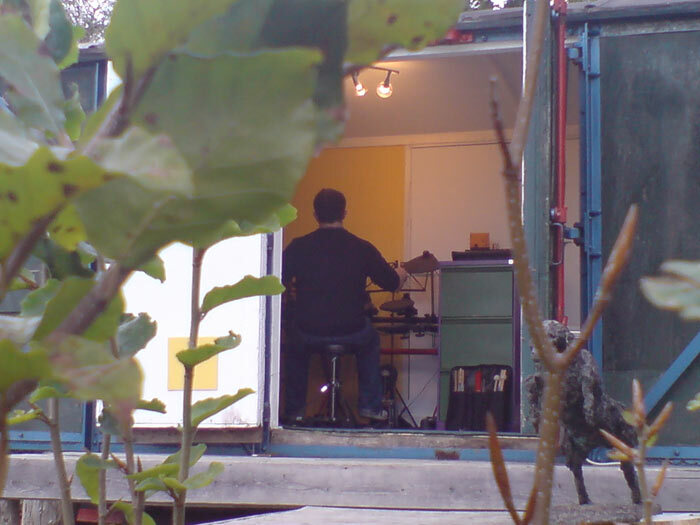 I am a member of the Musician’s Union, I have a current CRB Check and Public Liability Insurance, and I display a Student and Teacher Protection Policy at the Studio. For further details, please get in touch on 07977 849 562 or via email for further details.